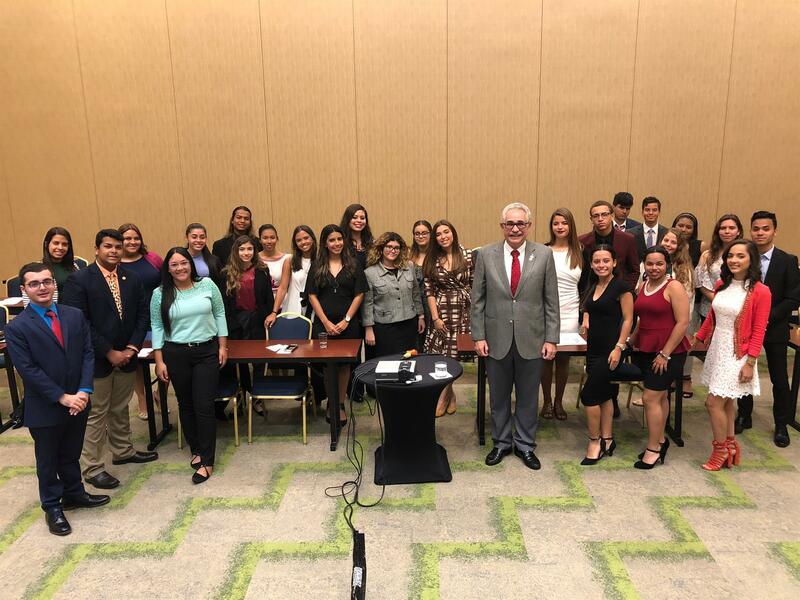 THE CONGRESS OF LEADERS OF PUERTO RICO's mission is to identify and train potential leaders of our community. The non-profit organization counts over 35,000 alumni considered as the most talented of our young people. 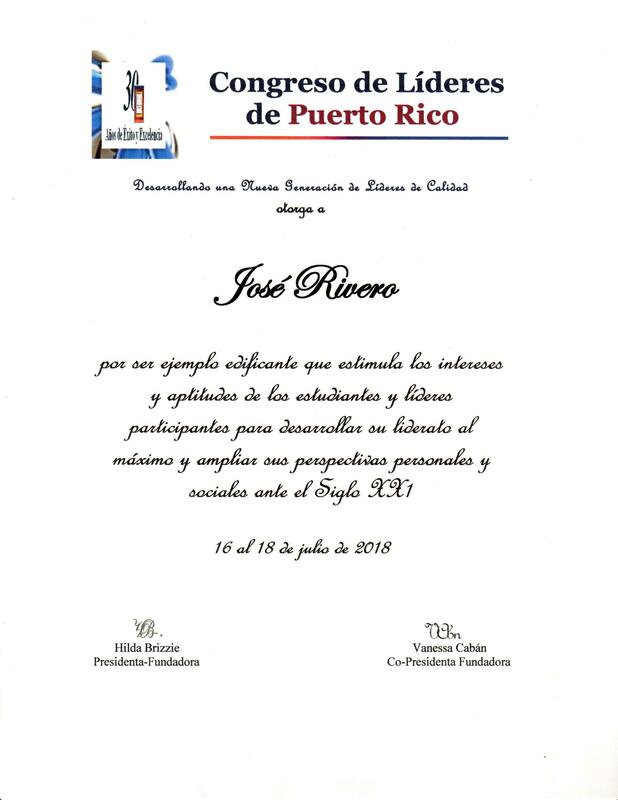 Invited as guest speaker at their 30th Anniversary meeting was San Juan Rotary President, Jose (Pepito) Rivero, who was honored with a commemorative scroll.